“Everyone in these parts know him mister. Why that’s the Lone Ranger!” Memories of your youth will always to close to your heart. What memories do you have? How will your aging impact your memories as those of your family? As an adult, I would appreciate the operatic musical masterpiece as the "William Tell Overture", composed by Rossini in 1829. 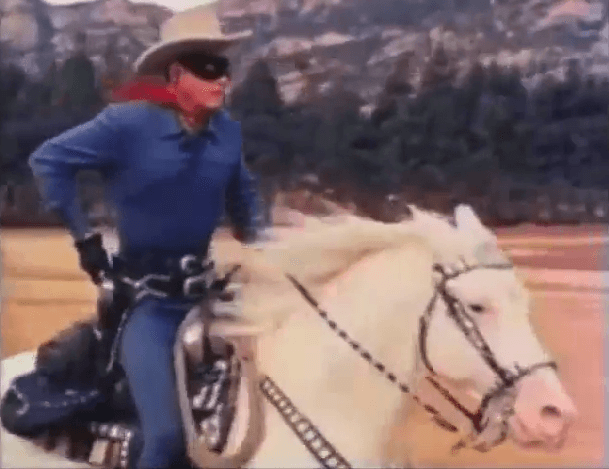 As a child, I hummed the song to myself and listened to it every Saturday morning on television, while eating a bowl of Sugar Pops cereal, as the "Lone Ranger Theme Song" drew my avid attention (https://youtu.be/0XSwVNBeNFw). Known by millions of baby boomers, the “Lone Ranger” was actually introduced first as a radio show, before the birth of television. Several actors became the radio voice personality who brought the Lone Ranger to life as families gathered around radios to listen to exciting episodes. Radio challenged your imagination as sounds were translated into images your mind created. We had one of those large, monolith, wooden cabinet radios in my home that made its way to a corner in our basement. It was retired there as the first TV entered our home. I used to dust it off and plug it in downstairs to listen to it. Dim lights behind the radio appeared brighter as tubes warmed up in the cabinet, and eventually sound resonated from the massive floor radio. It crackled as I adjusted knobs to eventually hear modern music, but the days of classic radio shows were long ago silenced to the new novelty and visual images to be seen on television. Those old episodes of the Lone Ranger are still a treat to listen to and can be easily accessed online today. I grew up watching Clayton Moore and Jay Silverheels play the Lone Ranger and Tonto on the Lone Ranger TV series. I planted myself early every Saturday morning in front of our black and white Philco TV set to watch the weekly episode. I most likely had a Lone Ranger comic book or toy silver Lone Ranger revolver and gun holster close by, or a Lone Ranger Fan Club mask worn or placed in my lap as I sat on the floor to enjoy my masked hero and his faithful companion in front of the only TV we had in our home. I shot the “bad guys”, who were always dressed in black, to assist the Lone Ranger from afar as much as I could. The first color TV we got while I was in high school let me see the "colorful" duo fight crime and save the “Ole West” in a different perspective. Though older and without my toy gun and mask, I still was drawn into lessons each episode taught me about honesty, life, and the consequences of lawlessness. After I received my driver’s license, my interest in TV was waning and I was running around as a teenager with my friends. Watching the Lone Ranger on Saturday morning was traded for "sleep in" time after a late Friday night out. As I aged, the Lone Ranger and Tonto aged with me. 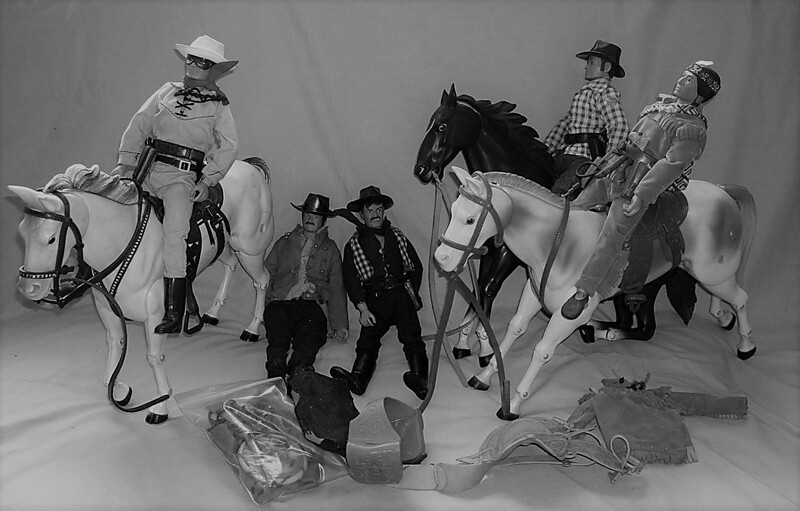 Eventually the series was cancelled, and Clayton Moore and Jay Silverheels were cast aside. Their fame and identity were entrenched in the public psyche, so much so that as actors, they weren't marketable for many other roles in Hollywood. They couldn't find work. They were an earlier version of Adam West playing Bateman who suffered the same career fate in Hollywood. The identity that had long served them, provided a living for them, and gave them public recognition and fame, now made them unemployable and became an acting albatross hanging around their necks they could not escape. They were too famous as the Lone Ranger and Tonto to ever be accepted by the public as anyone else. Still, out-of-work actors must make a living. Moore and Silverheels began making public appearances where they dressed in Lone Ranger and Tonto character and posed with photos for fans. They signed autographs, told stories, and relived happier times astride their white stallion and pinto pony. This provided a living for the two for a number of years, until the ravages of time eventually caught up with them. Muscular Moore and handsome, rugged Silverheels were aging. The tight blue outfit Moore wore was concealing less muscle. His hair was graying, and wrinkles around his face and smile were more prominent. The confident gait he walked with was more a cautious walk now. There would be no more jumping from boulders to mount Silver, no more bar fights, and no more galloping off into the sunset with his trusted Indian companion. Sadly, Moore and Silverheels were having the sun set forever on their film careers. The personal appearances became less lucrative, but their income still provided a living. They were still recognizable because Lone Ranger syndication reruns of TV episodes were being regularly aired on television. Today, television stars with a hit series and good agents have contracts that pay residual cash payments to actors, each and every time a television show is aired. That can bring in lots of money when the TV show is a popular one. But that's today. 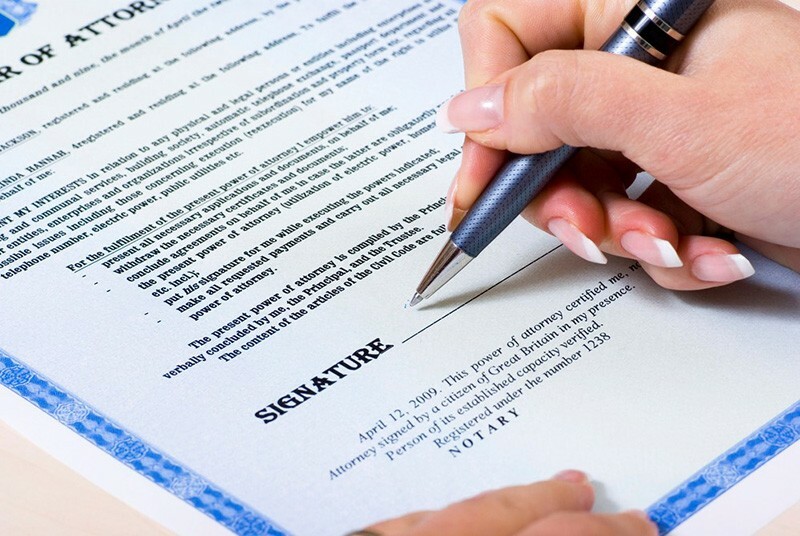 For most television stars from long ago, such contracts with residual clauses didn't exist. They were paid a flat fee per episode. If they were wise they invested their money carefully to prepare for retirement in the future. Many did. Others did not and may have died penniless. Bela Lugosi of “Dracula” fame suffered that sad fate. Maybe they could generate income from making commercials or movies they appeared in, with the permission of the production companies they were under contract with…maybe. Moore and Silverheels did that, but only for a short period of time. Mostly, they became relegated to public appearances at new mall openings, car dealerships, and the like. But even that was eventually challenged by the production companies who owned rights to the "Lone Ranger". The “Lone Ranger” was still in syndication. Contracts still existed with toy manufactures. The Lone Ranger character and series owners wanted the screen image that new generations were seeing, to be the only image of the Lone Ranger presented to the public. Moore didn't fit that image anymore. When a public appearance by him was advertised in the media and hundreds of children arrived to see the “Lone Ranger", the costume was the same, but the man was different. Fearing his appearances would harm syndication, Moore was sued and taken to court to stop him from appearing as the “Lone Ranger”. Moore was the underdog in an ensuing legal battle with his attorney fighting a battery of corporate attorneys. The case received minimal media coverage. It eventually narrowed to defining the “character” of the Lone Ranger. What made him so recognizable? Cowboy outfits can be any of dozens of styles. In the legal decision rendered, the court identified two key features that gave the Lone Ranger his identity. These were his MASK and his NAME. The franchise owners reserved the right to this legal identity of the Lone Ranger. The court ruled that the character was owned by the production company. 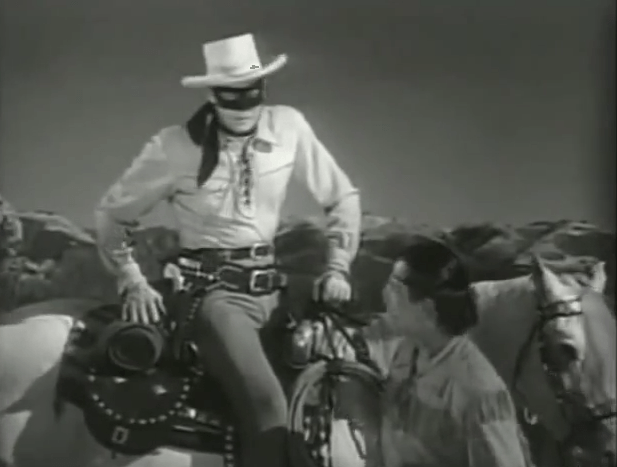 Moore was ordered to make no further appearances dressed in Lone Ranger Mask, presenting himself to be the current "Lone Ranger". Though he had lost his court case, Moore and his agent used some creativity to side-step the "letter" of the court ruling and its enforcement. Moore could wear the full Lone Ranger character outfit, just not the mask. So, Moore continued his public appearances, in full Lone Ranger character dress, now wearing a pair of customized, made and fit to fully conceal his eyes, "sunglasses" shaped like the mask he wore as the legendary crime-fighter, Western hero. Advertising for his appearances proclaimed the appearance of Clayton Moore, who had PREVIOUSLY starred as the Lone Ranger. That was a true fact. Nothing was said about the Lone Ranger appearing, only Clayton Moore. Public opinion celebrated Moore as a folk hero, and the production company decided to pursue the matter no more. Moore would be allowed for the remainder of his life to appear as his widely loved alter-ego. Eventually, I had the chance to meet that hero of my childhood, Clayton Moore. In the early 1970s he finally made it to Peoria, Illinois, via a Dodge car dealership sales promotion on Peoria's North side. I took my wife to the dealership and met Mr. Moore. 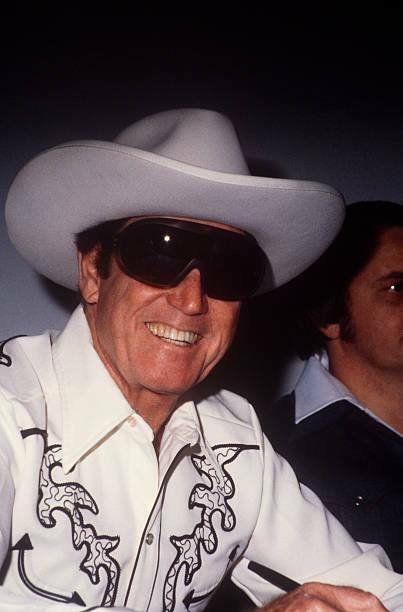 He was older, frailer, but all smiles wearing that huge white hat, and his skin tight, powder blue cowboy outfit. Black boots and gun belt at his side, he kneeled to meet smiling children and admiring adults who were his faithful following. No Mask in sight, he wore his dark sunglasses and handed out plastic souvenir, silver bullets. Not once did he reference himself as the Lone Ranger. His handshake was firm, and he exuded respect for the Lone Ranger character he had so long portrayed. I took a picture of him and my wife together. I've turned our home upside-down trying to locate it to post here with this article, but I can't find it. I would never have discarded it. It's here somewhere, waiting to give me a huge smile when I find it. Still, my memory of that day and meeting that fine gentleman is a very vivid one. I was a twenty-five-year long journey from me eating cereal in front of our old TV saying' "Hi-Yo Silver, Away" along with my masked hero, to me shaking hands with him in Peoria, Illinois. That day, I thanked him for the part he played in my childhood. He was a Saturday morning, dependable pal, who taught me lessons about life, responsibility, and justice. The Lone Ranger: Hi-yo, Silver! Narrator: A fiery horse with the speed of light, a cloud of dust and a hearty "Hi-yo Silver" - the Lone Ranger! Narrator: With his faithful Indian companion, Tonto, the daring and resourceful masked rider of the plains led the fight for law and order in the early West. Return with us now to those thrilling days of yesteryear. The Lone Ranger rides again! Tonto: Um, that right, Kemosabe. The Lone Ranger: Only you, Tonto, know I'm alive. To the world, I'll be buried here beside my brother and my friends... forever. The Lone Ranger: Yes, Tonto, I am... the Lone Ranger." The Lone Ranger became my "Kemosabe". To this day, if I hear that word, I immediately think of the "Lone Ranger and Tonto". Don’t you? I hope the duo understood in mind and heart what they embodied for so many millions of their fans. I believe Clayton Moore did. I saw it in his eyes the day we met. What I said to him he probably had heard thousands of times before, and hopefully never tired of hearing. Scanning the hundreds of TV channels available today, I still run across Lone Ranger episodes. Some are in black and white, and some are in color. My children and grandchildren know little about The Lone Ranger and Clayton Moore beyond the fact that he’s on that “Old TV channel that grandpa likes to watch”. I smile because I do like to watch it. For the Loyalty the Lone Ranger gave to me as a child, it’s only fair I return a little of that loyalty to him as his memory fades away into little more than an item to “Google Search”. Clayton Moore was born in Chicago, Illinois in 1914. His father had wanted him to become a doctor. He passed in 1999. His friend and full blooded, Canadian Mohawk Indian co-star passed in 1980. Both are immortalized with stars on the “Hollywood Walk of Fame”. Clayton Moore’s modest grave marker makes no reference to his famous Lone Ranger characterization. In his own way, he gave millions healing, smiling relief and momentary escape every time they watched him on television. His career as an entertainer spanned sixty years. At the time of his death, he was survived by one child from his four marriages, who inherited his estate valued at $1 Million. Back in 1957, “Sky King" and his niece, "Penny" were on next, followed up by "My Friend Flicka". What a great childhood I was blessed to have. It's going to be a "two bowl of cereal, sugar fix", Saturday morning watching TV and fighting villains before Mom makes me go outside to play. That “Free Mystery Prize “must be somewhere in the bottom of this box of cereal. I wonder what it is? It is funny how your mind works. Some things you seem to never forget like watching a favorite TV show or a sports event or your family. What kind of memories will you personally leave your family? 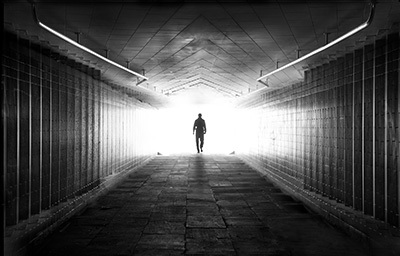 Often, the final memories are not the ones you intend to leave. Longevity means many of us will face Long-Term Care. Without an advance plan addressing the financial costs and burdens of aging our family may be forced to be caregivers. Perhaps they will just spend your hard-earned money to pay for the high costs of paid caregivers. Even with paid caregivers they need to be managed. Are these the memories who wish to leave? There is an easy and affordable solution. Long-Term Care Insurance will pay for your choice of quality care in the setting you desire, either at home, adult daycare, assisted living, memory care and the traditional nursing home. Many policies will provide case management to help your family find and manage your care. It will also safeguard your savings and retirement funds making sure your legacy is protected. The good news is Long-Term Care Insurance is affordable and rate stable. Find the facts and start planning before you retire in order to take advantage of low premiums and preferred health discounts. Gene Beltz is a retired, professional educator, having spent 12 years teaching high school Language Arts, and 30 years serving as a Grade School Principal and School District, State and Federal Programs Director. He has a great interest in current events, politics, family, and travel. "I see learning and sharing as life-long experiences to embrace and grow from. I have friends across the spectrum of issues that I respect, admire, and often discuss differing sides of issues with. Above all, I love family, and cherish my wife, children, and grandchildren. I hope my comments create smiles, thought, and sometimes even stir people to action. I think a well-informed public makes our nation wiser, safer, and stronger. I love our country, rejoice in her greatness, and am proud of her efforts to constantly move forward to be better. There is much more about me and my life you may sense as you read my stories and comments I share here with you. I hope you find them enjoyable!"